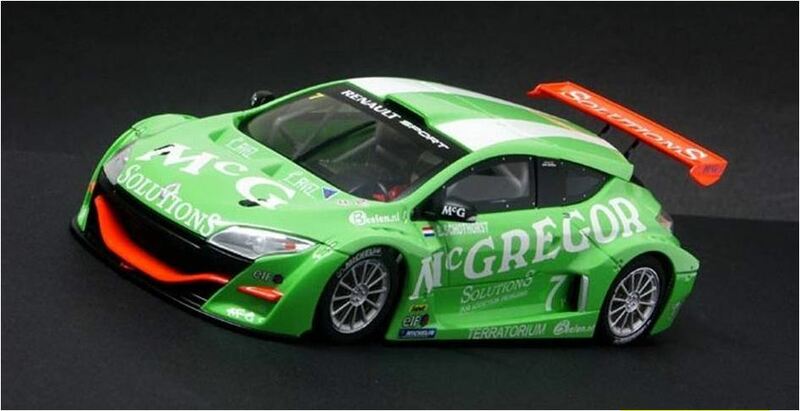 The club’s general racing framework can be found here: Race Series Format. 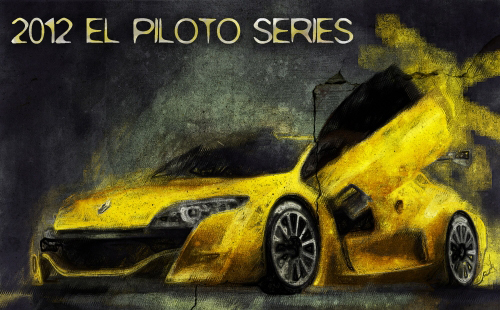 The El Piloto Series is our club’s version of a drivers challenge. Three cars, purchased and identically prepared by the club, are placed on their according lane (green, blue or yellow). Competitors race each car once, rotating through all three lanes. The competitor with the most combined laps is the winner. Entrance fee per race is $10 for non-members. Series #1: January to June. Series #2: July to December. 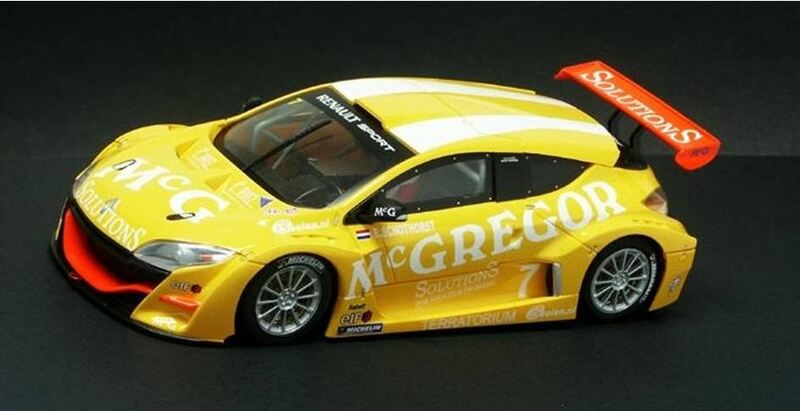 In 2012 our club members chose to race 1/24 BRM Renault Megane Trophy cars. 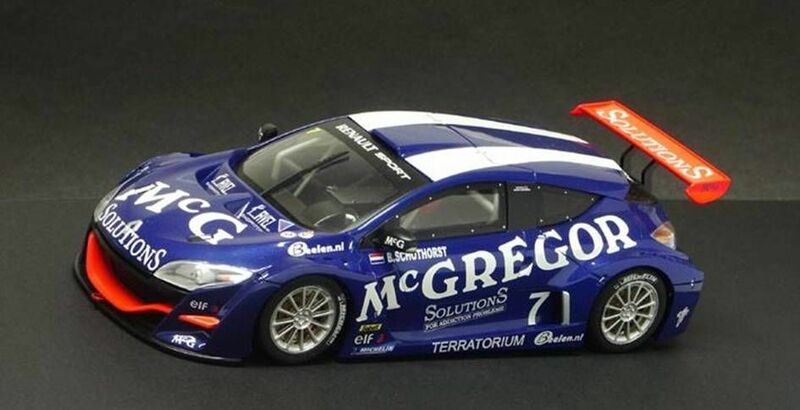 The cars will be auctioned at the end of the series, all the proceedings go to the club.